1. After installation of various pipes and equipment in the ceiling, determine the positions of the lighting positions, ventilation openings and various lighting openings. 2. Before the roof cover panel is installed, the wall and ground wet work project shall be completed. 3, put up the ceiling construction operating platform shelves. 4. Before the construction of light steel frame roofs in large areas, the model should be constructed, and the construction of the ceiling, lamp channels, curtain boxes, vents, etc. should be carried out. Aluminum ceiling, keel, suspenders and so on. Impact drill, toothless saw, hacksaw, nail gun, plane, screwdriver, hanging hammer, square, hammer, level ruler, broken line, fountain etc. 1. Stretching line: According to the horizontal line of the floor elevation, follow the design elevation, and follow the horizontal elevation line of the ceiling ceiling around the wall, and find out the center point of the room. Along the horizontal line of the ceiling elevation, draw the keel on the wall centered on the center of the room. Location line. 2. Install the main keel boom: After bombing the ceiling elevation line and the keel position line, determine the elevation of the lower end of the boom, install the pre-processed boom, and install the boom with the 8 diameter expansion bolts fixed on the ceiling. Hanger diameter 8 round steel is used, and the distance between hangers is controlled within 1200mm. 3, the installation of the main keel: The main keel is generally selected C38 light steel keel, can also be used wood, spacing control in the 1200mm range. When installing, it is connected with the main keel's hanging piece and hanging rod. 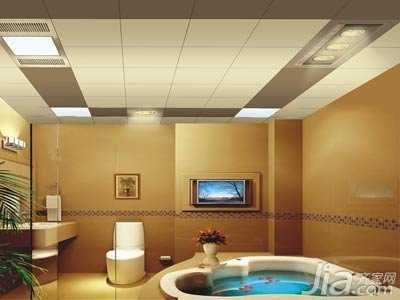 4, install the edge: according to the ceiling height requirements around the wall with cement nails fixed edge strip, cement nail spacing is not more than 300mm. 5. Install secondary keel: According to the specification size of the aluminum buckle plate, install the sub keel matched with the plate, and suspend the secondary keel on the main keel through the hanging piece. When the length of the secondary keel needs multiple continuous extensions, the secondary keel connection is used to connect the secondary keel while the opposite ends are connected and fixed after straightening. 6. Install the metal plate: When the aluminum pinch plate is installed, a reference line shall be pulled perpendicular to the keel in the middle of the assembly area, and the reference line shall be installed on both sides. When installing, take it lightly and gently, and then press the sides of the square board gently in the order of the flanging parts, and then push the keel and push tightly. 7. Cleaning: After the installation of the aluminum pinch plate, all the surface of the plate shall be wiped clean with a cloth, and dirt and fingerprints shall not be allowed. 1. The light steel skeleton, aluminum buckle board and other ceiling materials should be strictly managed during the entry storage and use process to ensure no deformation, no tide, no rust. 2. It is forbidden to decorate the suspended ceiling with suspenders for mechanical and electrical piping and for hanging the line. If the electrical and mechanical pipes and lines are inconsistent with the position of the suspended ceiling, they must be approved by the project technicians and must not be changed or moved. 3. It is forbidden to lay electromechanical pipes and lines on ceiling keels. 4. Installation of light steel skeletons and cover panels shall pay attention to the protection of various pipelines in the ceiling. The suspenders and keels of the light steel framework must not be fixed on ventilation ducts and other equipment parts. By using Thermoplastic Polyurethane (TPU) to construct our Tpu Lay Flat Hose we have chosen to supply our customers with the very best material we can find. This durable, tough and highly abrasion resistant hose will provide superior performance where it matters most. Featuring: excellent weather/ozone resistance, increased flow rate, minimal friction loss, long service life, no potential for delamination, fused fiber reinforced jacket makes it twice as strong as 3-Ply hoses, superb working temperature range, good handling and lightweight compared to mandrel built hoses. We can product TPU Lay Flat Hose from size 2" to 14",and the working pressure scope from 10bar to 50bar,the length from 20meters to 400meters for different country request.